Now if your a big UFC fan like me, then you have probably noticed the UFC Fight Kit that all UFC fighters wear throughout fight week, at the weigh ins, and walking to the octagon. So this is why at the MMAGateway we are starting another series of reviews of different UFC Fight Kit apparel – today we focus on the Men’s UFC Reebok Black/Gravel Jersey. I don’t know about you, but I love the feeling of authenticity when I’m wearing clothes, the idea of cheap imitations frustrates me, especially when some snake oil salesman will try and pass it off as the genuine article. This is why I first purchased on of these UFC Fight Kit Jerseys – because I wanted to have a 100% identical fight kit to what UFC fighters wear when they approach the cage. I was not willing to accept any second rate copies, so I went to the official UFCstore, and bought myself this this great piece of UFC Fight Kit. I’m so glad I did as well, because this Men’s UFC Reebok Black/Gravel Jersey is really comfy, and gives you a confidence edge when your training, making you feel like a UFC champion. Firstly my main favourite point about this top, is the main reason why I bought it in the first place – It is a 100% authentic piece of UFC Fight Kit by Reebok. Just by knowing your wearing exactly what UFC fighters wear for their walkout to the cage, it gives you a really satisfying feeling of champions as you wear it. Secondly this UFC Fight Kit Jersey, is really comfy, which is largely due to the quality 95% Cotton/5% Elastane materials which are used to make the Jersey. But also the athletic tight fitting of the top, and welded seams adds to the overall comfort of this top. Thirdly this Men’s UFC Reebok Black/Gravel Jersey is really lightweight, and I’m not exaggerating when I say it feels like the lightest Jersey I have ever wore in my life. Literally its as light as a feather – this coupled with the multi directional stretchy fabric means you hardly notice it when your wearing it, which is just what you need from a good Jersey to train in. In December 2014, the UFC and Reebok announced that they would be starting a business partnership, whereby Reebok would be the UFCs exclusive global outfitter, from July 2015 on wards for at least 6 years. 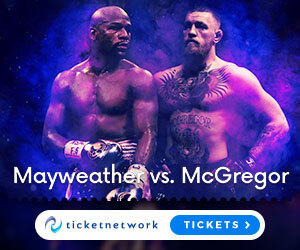 In short this deal has been the most valuable non-broadcast contract that the UFC executives have acquired from a business development perspective. However, many of the fighters have been left feeling disgruntled by this deal, as evidence shows that this new UFC/Reebok deal, has drastically limited all fighters additional sponsorship money, which was a huge amount of money for some fighters prior to the UFC/Reebok deal. Some of the figures for what some UFC fighters make under this UFC/Reebok is very, very low – so I really understand the frustrations of many fighters, but i don’t want to get too political for you in today’s post, because we are here today to review UFC Fight Kits. So regardless of how you feel about this UFC/Reebok deal, when we look at the UFC Fight Kits themselves – all the kits feature a fighter’s name on the back of the jersey (however the one we are reviewing today is the generic nameless Jersey), and fighters have the option to choose between a universal or country kit, related to his or her nationality. There is also a champion fight kit, which is obviously designed to only be worn by title holders, which we will review in another post. The Material is made from 95% Cotton and 5% Elastane, which really makes this Jersey great for quality, comfort and flexibility. The Sublimated design, means that the inks used are fused into the fabric, so this Jersey is made with the best quality and most durable printing option, which also means you can wash this Jersey hundreds of times and it will still retain its strong colours without fading. A Tagless collar might sound a bit pointless to you, but seriously some training Jerseys are notorious for having massive tags on the collar, which only ends up distracting you during training/fighting – you wont have this problem with the Men’s UFC Reebok Black/Gravel Jersey. The welded seams eliminate bulk and chafing, and literally means that the seams are fused together, meaning ripping at the seams is not something you need to worry about. The Heat-sealed graphics makes sure the artwork on this Jersey is bold and really seals the characters into the Jersey. Its made with a Lightweight low-profile construction for weight reduction, and like I said earlier I really think this is the lightest training top that I have ever worn. The Multi-directional stretch fabric and side vents really do give a functional mobility, meaning this Jersey is suitable for any kind of training. Fit: Reebok UFC® Jerseys are all made to be slim-cut for an athletic fit. So if you want a looser fit, remember its best to order one size larger than you would normally wear. This Men’s UFC Reebok Black/Gravel Jersey is Officially licensed, which again really adds to the appeal, it gives you an authentic feeling, and a great confidence boost knowing that all your favourite UFC stars wear this kind of Jersey. Let’s not forget that while some UFC fighters may not be a fan of Reebok as a company, the fact is that the name Reebok is a giant in the athletics industry, so you know they produce good quality gear. Ok I’m going to have to say it – lack of design creativity. I mean really while this Jersey and all Reebok designed UFC Fight Kits are made with good quality, with a sharp look, I just feel that more excitement in the way it looks would improve the Jersey personally, but I’m sure some will like its simplicity. I’m not the biggest fan of paying $6.99 for shipping costs, I know some people won’t mind this, but for me I always expect a seller to pick up all shipping charges, especially for a simple light item like a Jersey. $74.99 is ok, but it might not be the best price for some, which could put some people off, but if you want quality you always have to pay a bigger price with anything. So now you’ve read this first part of the UFC Fight Kit series, you now have all the information you need about the Men’s UFC/Reebok Jersey to make your decision about buying this item. So wear this Jersey with Pride, and who knows maybe one day you will be in the UFC getting your UFC Fight Kit for free from Reebok. At this point you have probably already decided to go ahead and get yourself one of these tops – so if you want to make your order now, then you can do that right HERE. I hope you enjoyed this review, and stay tuned for more instalments in this UFC Fight Kit series right here at the MMAGateway. Any comments, questions or general feedback about this review, the please post below and I will get back to you asap. MMA – in the words of Bruce Lee – a doorway to building the best you. Hey Marley, good review of the UFC Fight Kit. As a huge MMA & UFC fan, I don’t really like the idea of the fight kit & fighter jersey. As you mentioned the jerseys don’t have anything to display the originality of the fighters, and having different designs and symbols the fighter like would make the Fight Kit that much better. Plus, I couldn’t see myself spending about $80 on a generic outfit. I think the UFC left a lot to be desired with these fight kits. Otherwise, great post & I like the MMA inspired site. I’ll definitely be back to visit the site again in the future. Keep up the great work Marley. Hi Andrew, Yes i agree Reebok definitely need to start exploring new ideas, but i still like this Jersey and don’t mind the price because its really comfy and good quality. Glad you liked the review though, look forward to chatting more in the future! Sup Marley, I have to admit this is the first post I’ve come across that suggests a cool jersey to wear for workouts. I used to do MMA and probably would have bought this, but not for the reasons mention. For me I would have enjoyed the elastic, free feeling from the texture. But anyway, theirs my two cents. Love the site, great idea! Interested to see where you take from here. Hey what’s going on Marley? Great post. I can’t lie I’m not a big fan of MMA, its a bit brutal for me. Lol I’m more of a boxing guy but I have always had an interest in learning the skills (just in case i need them lol) but I do workout and I’m always looking for great products to workout in because there is nothing more irritating than having a shirt that doesn’t fit right or is itchy or just flat out wrong lol But this seems like a great fit for me so I def may be buying one in the near future. Thanks for the review. Hi Ian, glad you like this Jersey, its quality, and great for training of any kind like you point out, and as you know Boxing is a big part of MMA, so this should be a good fit for you 🙂 thanks for your comment! This jersey looks sleek and comfortable. You mention in the article that it’s formfitting, but at the same time you mention it’s hardly noticeable as you wear it because of how light it is? It’s not too tight, right? I’m just curious because if I wear anything tight while I work out my skin gets irritated. Are there girls sizes as well? Hey Eric, yes it is sleek and comfortable, it is a tight fitting top yes, but with grappling and MMA training its important to have these kind of items. But yes i will be reviewing some female versions of this UFC Reebok Jersey in future posts. Dude have you seen these Shinguards? They are really cool! Great Content. Good layout and up-to-date. The information on your website is quite elaborate and useful. Top notch quality. It shows you are very informed and obviously trendy as it relates to your niche. Useful information and easy navigation prospects. I like the touch of adding reviews underneath each product. It lends credence to the originality of what you are promoting. Hi Chris, glad you like this review and my website. Have you seen this bag before? Its cool. Thanks for stopping by, drop in again sometime! Hey Marley, great review. Love the UFC and this training shirt looks sweet. Like you, I don’t like the shipping though. I figure at that price point it should be free, but it is was it is and it’s their site, so I get it. Just wondering if it’s sold as well on the Reebok site…they might offer free shipping. Or is this a UFC.com item? Hi Ralph, yeah your right UFC definitely need to offer free shipping with their item prices – but like you say, it is what it is, and they do have top quality equipment. To my knowledge this Jersey is mainly available on UFCStore, but that’s a good point Reebok could offer free shipping. Be careful with any imitations on Ebay though. Thanks for stopping by bro! I’m going to have to say it too, this jersey seems really expensive. But hey I love expensive baseball jerseys too, as long as I can get a good deal on them. Have these UFC jerseys been worn by any famous competitors? I’d like to see a youtube clip of them with it on. That’d make me more want to buy it. Hey Tim, yeah understand what your saying, because its not cheap, but you know quality always costs. These Jerseys are authentic replicas, and yes there is a clip in this review.